Running is one of the easiest sports there is. You put on some trainers and go out the front door for a run. However, sometimes it is not so easy when the weather is bad and there is a great temptation to just stay inside and run indoors on a treadmill or indoor track. Therefore, if you are into your data – as most runners nowadays are – then being able to track your workouts when indoors would be beneficial. You can purchase the Forerunner 235 from Amazon here. When indoors on a treadmill, you are not actually moving anywhere and there is no GPS connection. 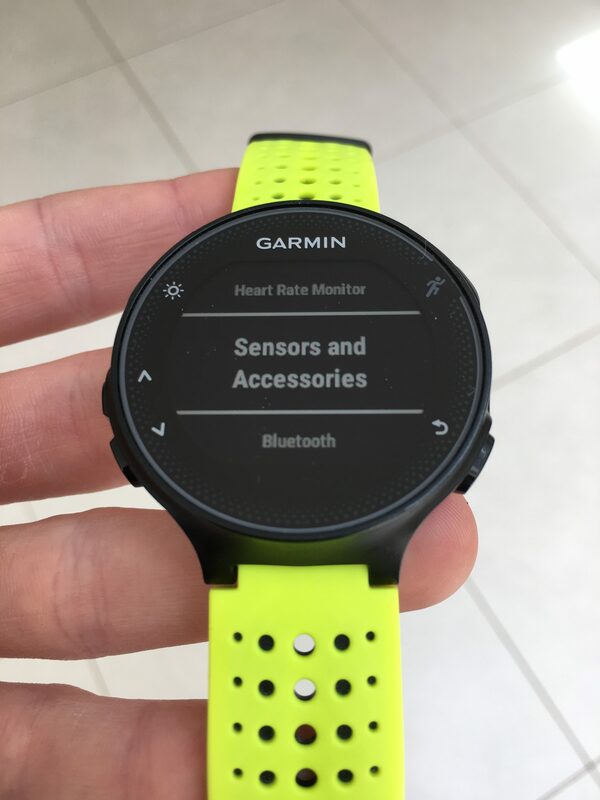 This would obviously mean that the basic GPS running watches would not be able to record anything other than the time which you have been running for. In the past, companies have got around this by allowing you t connect external accelerometer pods via Ant+, but they are at an extra cost and have to be attached to your shoes. 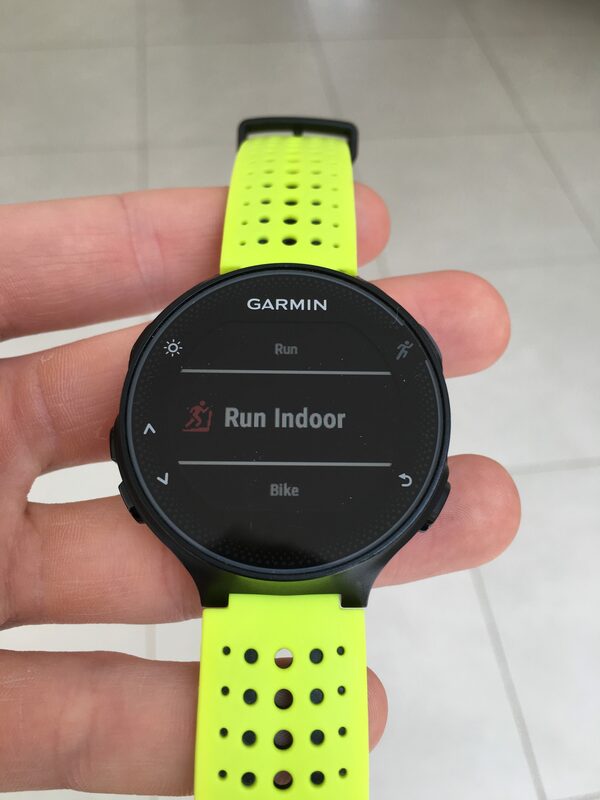 However, many of the new running watches being released have a built in accelerometer which allows you to measure your pace, distance and time of our indoor runs. This is no different on the Garmin Forerunner 235 which allows you to use this capability to record indoor workouts, whether it be on an indoor track or a treadmill. An accelerometer is a tiny internal device which monitors acceleration of movements and determines a range of data points as a result, from which way is up to your cadence. The movements you make whilst running cause an acceleration force which is constantly changing creating tiny voltages (or a change in capacitance) which can then be converted into numbers and understandable data points to tell you about your running. This therefore means that there is no need for any GPS tracking. On the Forerunner 235, there are a few different activity types which you can choose from. These are specially time at running and cycling (although there is not an option to use it swimming, it is still possible shown here). One of these Activity options is ‘Run Indoor.’ This is essentially exactly the same as the normal ’Run’ activity but it automatically is preset to use the internal accelerometer rather than the GPS functionality of the device. As with the normal ‘Run’ activity, the settings are exactly the same: there are three available data screens for you to set up, along with the same heart rate data which is still recorded on the optical heart rate sensor in the same way. Therefore, there is no set up necessary, just go to ‘Run Indoor’ and press the top right select button on the watch to run. When looking to see the accuracy of the data gained, it is very hard to do so when the actual distance run is unknown, this is the case when using the watch on a treadmill. This is because treadmill running is renowned for being inaccurate in itself as the speed displayed on the treadmill is not always the same as reality. Despite saying this, it is assumed in most cases that there level of error in the treadmill speed and distance is of a minimal amount, allowing comparisons to be made between both the data given by the Forerunner 235 and the treadmill itself. I have used my Forerunner 235 on a number of treadmill runs and have actually been pleasantly surprised with the quality and accuracy given by the watch. With this relatively new technology, it was expected to be not worth looking at, however it was almost spot on with both interval running and continuous running. On one 20 minute run, the treadmill speed was set at 14km/h which is a pace of 4:17 min/km. 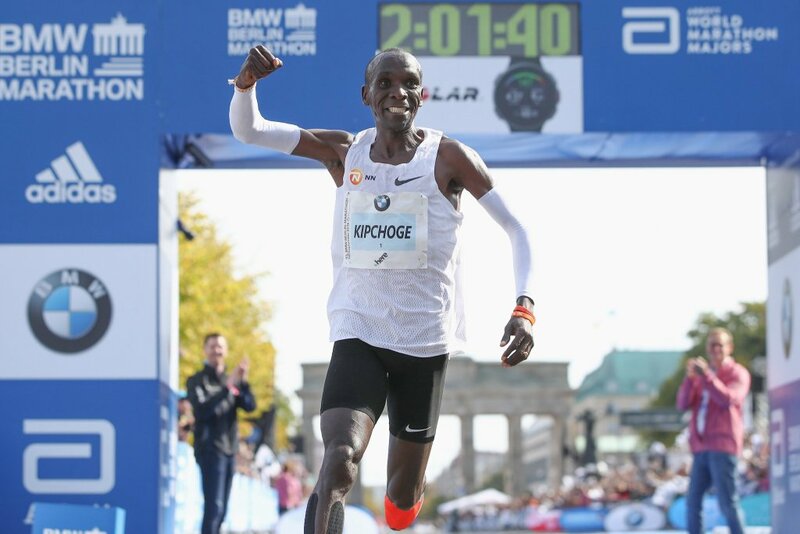 The watch recorded this run at 4:19 min/km and a distance of 4.63km compared to the 4.67km recorded on the treadmill. This is only a 0.85% error in distance which is extremely accurate, and very encouraging. There was also some very clear and good results from an interval workout I did on the treadmill. The session was a 5 minute warm up at 12km/h (5:00 min/km), followed by 3 x 1km at 16km/h (3:45 min/km). The warm up was recorded by the watch to be of a slightly faster pace of 4:46 but again this is only a 5.0% error which isn’t too significant. All three intervals were at the fastest speed the treadmill could go and potentially could be a factor in the different times for each kilometre as it struggled at the faster pace. However, it was only the first kilometre which was timed at 3:35 which was too fast, the other two were almost spot on giving very good and accurate times of 3:44 and 3:45. It is also important to note that it s the built in accelerometer which measures cadence. This is also recorded in the same way whilst running indoors and gives accurate results seen on the interval session. 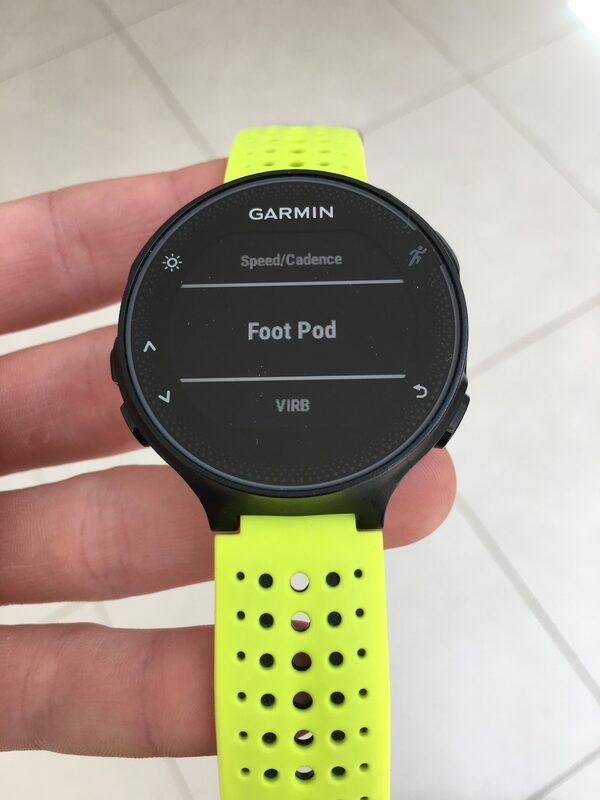 If you decide to run without the internal accelerometer, it is still possible to run indoors with a Garmin Foot Pod, connected via Ant+. This is easy to set up by going to Menu > Settings > Sensors and Accessories > Add New > Foot Pod. From these results, it shows that Garmin have done a good job with the Forerunner 235 at gaining an effective device which can be used for indoor workouts. The internal accelerometer fairs well in both interval and long runs on the treadmill, however I have yet had the possibility of testing it on an indoor track. Despite this, many still say that the specifically designed Garmin Foot Pod is better for indoor running, but personally I believe there is no need for this extra purchase when results look to be reliable on the whole. Amazon link for UK readers is available here. Do you know if elevation would have been tracked if you was doing indoor stair training? I often run up and down a 25 floor building during training and would be great to get an estimate of that. The Forerunner 235 does have the ability to track your elevation. Despite this, the watch does not track the number of flights climbed (roughly 13 steps) as part of the Activity Tracking, unlike other activity trackers and iPhone’s – I’ve written more about this here: https://runreporter.com/running-gear-reviews/apple-health-ios10/. Personally, I would use the ‘Other’ Activity to track indoor stair climbing where you can change the data screen to display your current elevation, however it is unlikely that this will be too accurate when indoors as the Forerunner 235 does not include a built-in barometer; this is included in the more outdoors based watches like the fenix line from Garmin. I hope this helps and feel free to ask anything else. The charts from Garmin Connect for this post came straight from screenshots off the webpage itself, then uploaded as an image file. Facing problem using Forerunner 230 in treadmill. Once I press the start button, it will pause automatically after short while. Why? Do I need to switch off the Auto Pause function and GPS? Can I record the laps while on treadmill manually? I believe that the problem of the watch pausing once starting is due to the Auto Pause feature which you have turned on. Due to the Forerunner 230 measuring pace via an accelerometer, there can sometimes be slight drop outs, causing the watch to automatically pause as the pace drops below the set Auto Pause level. Try running again with this feature turned off. When using the ‘Run Indoors’ mode on the watch, the GPS is automatically turned off so there is no need to worry about this. However, you can still use all the other functionalities like on any other run. To record a manual lap, just press the lap button on the watch, or set up Auto Lap for a given time or distance. Regarding the inaccuracy of the watch distance v treadmill, can this be overcome by using the lap key button and then inputting what distance the manual lap is to ‘calibrate’ it, or will the accelerometer just record each lap to the inaccurate distance? I find at slower speeds it records me too fast (short actual stride length) and when running fast it records too slow (long stride length), although very accurate at 12km/hr. 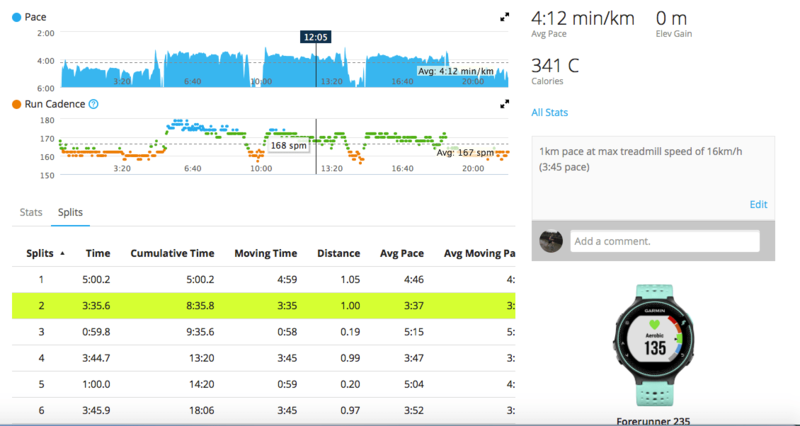 Thanks, I have started using the lap button on the treadmill and then editing the total distance in Garmin Connect to match the treadmill. Some of the stats then recalculate but not all so some weird data results. Of course, Strava takes the raw data and no ability to edit, so my fast treadmill runs don’t look so fast to my followers! With my FR230 I got pretty accurate data, and It depends on the treadmill you’re running and if it’s well calibrated. I run a lot in the gym and the accuracy varies between treadmills. Do you all have done it to increase accuracy? I have FR235 and i have done it begore indoor run and it works perfectly! Why does my garmin 235 say ‘Run Indoor’? It never did before. How do I get rid of that and why is it there? I’m just wondering if you can help me. I’ve had my 235 for a few months now and absolutely love it. The first month when I ran on the treadmill & selected ‘indoor run’ it recorded everything perfectly like you have above. Since though it doesn’t, I ran 6ks the other day on the treadmill and selected ‘indoor run’ and it said I’d ran .07kms 🙁 it’s like the gps is turned on on that setting! Any ideas on how to check? I actually think I’ve worked it out! Selected ‘indoor run’ then activity settings then gps and pressed off! I didn’t realise those settings were just for that activity. Yes, I think that should work well now for you then if the GPS is off. Good luck with your running! My 235 is completely wrong on every treadmill run I’ve done. It tells I’m running about 2 minutes per mile faster than I am, sometimes more. It also adds distance. I don’t know what to do. I’ve tried a bunch of things and nothing works. It’s useless on the treadmill for me. I have a Garmin 235 but when I have run over about a mile outdoors the mile indicator seems to turn off. Only post race when I download into garmin connect or Strava do I see the actual miles run? Not sure what is happening? Have I accidentally changed some type of setting? Thanks. My Garmin 235 is very inaccurate on treadmill runs. Consistently 30 seconds slower than actual pace. Funny thing is if I swing my arms more rapidly I can increase the pace….total waste for indoor running. Works perfect outdoors. Great post! I didn’t think to use the “run indoor” feature, however, my issue lies in using preprogrammed speed workouts with Garmin connect. Is there a method to toggle between indoor/outdoor running? Thank you.